The cozy 2-bedroom apartment is located in a completely renovated former Aparthotel btw. Kaprun and Zell am See. The in. 1 OG lying flat is south-facing and has a large balcony. The special feature of the apartment is the sunny, quiet location and wonderful views of the surrounding mountains and the valley of Kaprun. For all residents is from June to September, a large outdoor pool for common use. Golf Course, Tauern Spa, airfield, swimming lake, archery, paragliding, Restaurants etc. are within a few minutes. The ski areas Maiskogel and Zell am See are from 2.4 to 3.7 km. The Kitzsteinhorn glacier ski area can be reached with the free ski bus, the bus stop is just 170 meters from the apartment. A ski room with boot warmer is available in the house. ATTENTION: Please indicate in the reservation in the number of persons, no child under 15 years on, otherwise yields an incorrect rent. Per guest (> 15 c.) Is to pay a local tax of 1.15 € on the spot. As contact - locally - stands them the house supervisor, Vladi Aberger, available. Children up to 12th century pay no extra charge when occupying more than 2 persons. The living room couch is pulled out as a sofa bed and used (140 x 200). This apartment has everything you need for a comfortable and enjoyable stay in the Zell-am-See/Kaprun region. It’s just as you see in the pictures, is nice and cosy and has a fabulous view of the mountains over Kaprun. Communication with the hosts was extremely good. Highly recommend it. The apartment exceeded our expectations with the quality of the modern furnishings and overall facilities. This made for a really comfortable stay and was fully equipped if we decided to stay in and cook for ourselves. The view towards Kaprun and its backdrop of mountains was spectacular and we spent quite a few hours immersed in it when sitting on the balcony. We also made use of the pool, which was very clean and well looked after. 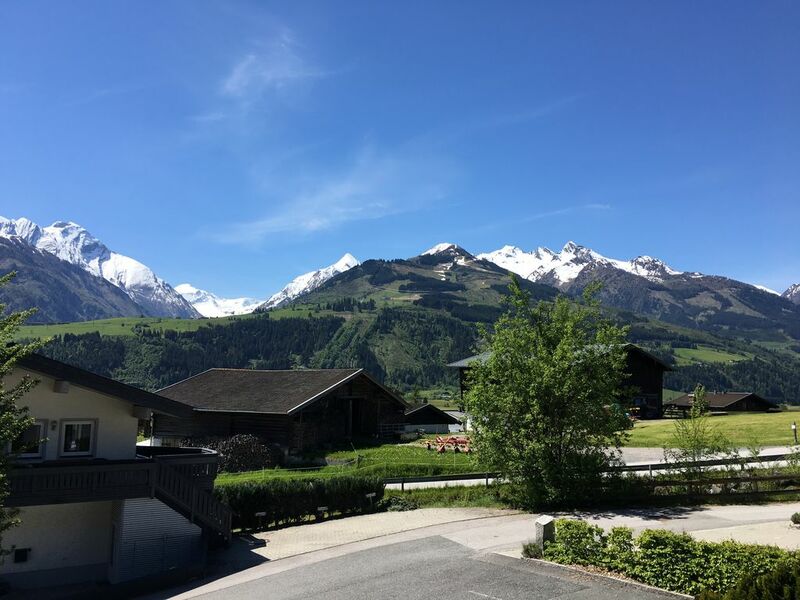 The location of the apartment was excellent for us, with Kaprun a couple of Kilometres in one direction and Zell am See around 7km in the other. Both are accessible by bus, with the bus stop being only 5 minutes walk away. It is in a quiet location, which was perfect for us. Communication with the owner was really quick, with booking and paying an easy process. We had such a lovely stay and wouldn't hesitate in recomending this property. Die Wohnung hat uns gut gefallen. Sie ist gut ausgestattet und hat eine gute Aufteilung. angenehm. Wir können die Wohnung sehr empfehlen. Die Wohnung ist sehr schön und top ausgestattet. über umfangreiche Umbauarbeiten im Gebäudekomplex informiert. Wir sind dann auf Grund von Lärmbelästigungen und schlechtem Wetter auch früher abgereist. Vom Vermieter wurde uns nach dem Urlaub ohne Aufforderung ein Teil des Mietpreises erstattet. Vielen Dank dafür. Nach Abschluss der Umbauarbeiten kann man in der Wohnung auf jeden Fall einen schönen Urlaub verbringen. Wij hebben genoten van het appartement Top5. Het uitzicht op de stad en natuurlijk de prachtige bergen van Kaprun het is allemaal PRACHTIG! Goede uitval basis voor diverse uitstapjes. Alles aanwezig, wellicht wat gehorig maar zeker aan te raden.